Chew on this for a sec: in the U.S. alone, more men die of skin cancer each year than women. According to the Skin Cancer Institute, if you’re younger than 40 and just past your mid-teens, you’re 55 percent more susceptible than women of the same age group. Studies also show men start to develop wrinkles a decade before women. So why is it? Simple answer: Non-action. Other than obvious male-female dissimilarities, some go skin-deep. Skin is a “hormone-responsive organ,” says Keaney. “Meaning, testosterone influences men’s skin to be thicker.” This testosterone drive is what causes men’s baby fine hair to turn thick on skin, a.k.a. why we have chest hair, beards, back hair, and sometimes, as we age, why hair thins on the top of the scalp. Additionally, men produce more sweat, which means more oil. Blotting papers, anyone? Keaney’s office offers a no-judgment, safe-haven in a mancave-like environment for guys to talk hair loss, corrective procedures, anti-aging, lasers, and get schooled in proper upkeep. 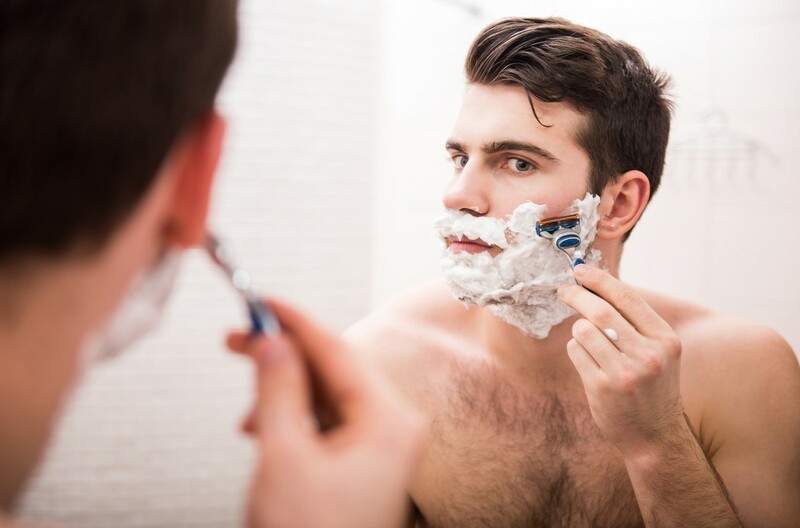 It’s why we tapped Keaney (who also serves as a Dove Men+Care skin and hair expert) to debunk some of those age-old, bad-habit grooming myths and help you, or any men in your life, ease into solid regimens that deliver results. Placing products near the razor and the toothbrush, like Dove’s Hydrating Lotion, triggers a call to action and forms a new daily habit. To begin, cleanse in the shower, apply a moisturizer, and finish with a broad-spectrum sunscreen with SPF 30. Dollar Shave Club subscription-service razors ($2+month). Splurge on the add-on items, like Dr. Carver’s Magnanimous Post-Shave All-In-One Moisturizer ($9). 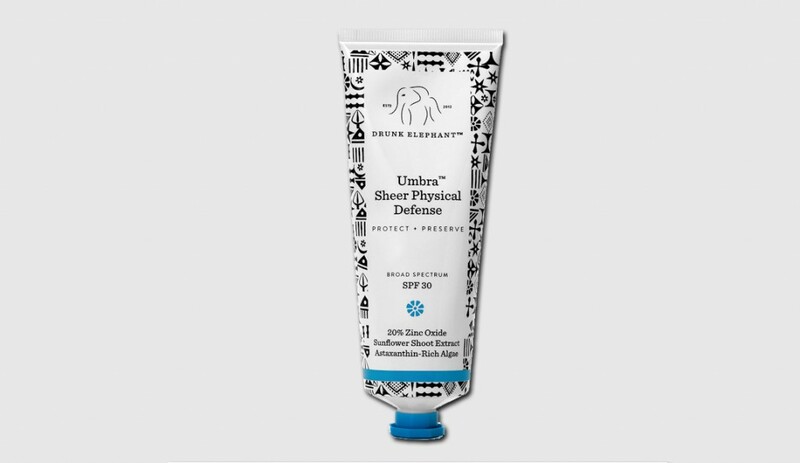 And although on the pricy side, Drunk Elephant’s Umbra Sheer Physical Defense SPF 30 ($38) is one of the best on the market. Usually that means an antibacterial wash that, in actuality, strips away needed oils. Or, a scrubbing cleanser that’s too vigorous. “Part of the problem is that men go overboard and tend to scrub too hard,” says Keaney. 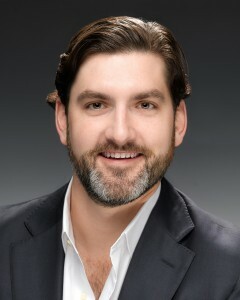 Finding a moisturizing cleanser is the foundation of any routine,” says Keaney. Taking out your aggression at the gym, not on your skin. 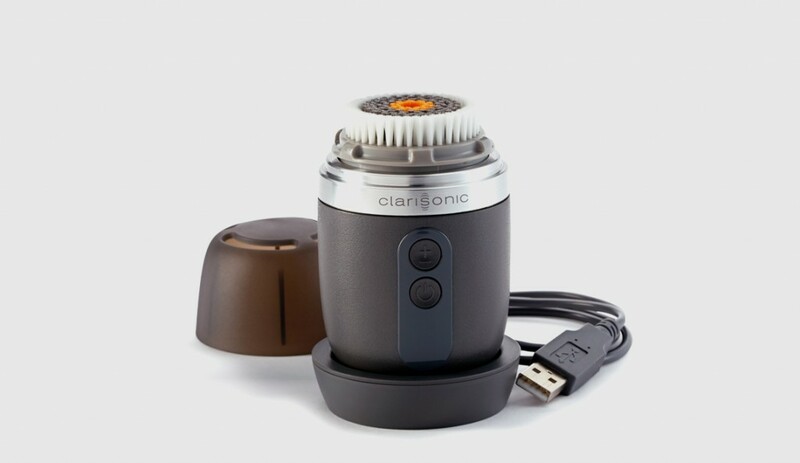 Try CeraVe’s Hydrating Cleanser ($13.99) or the Alpha Fit Men’s Cleansing Brush from Clarisonic ($189). 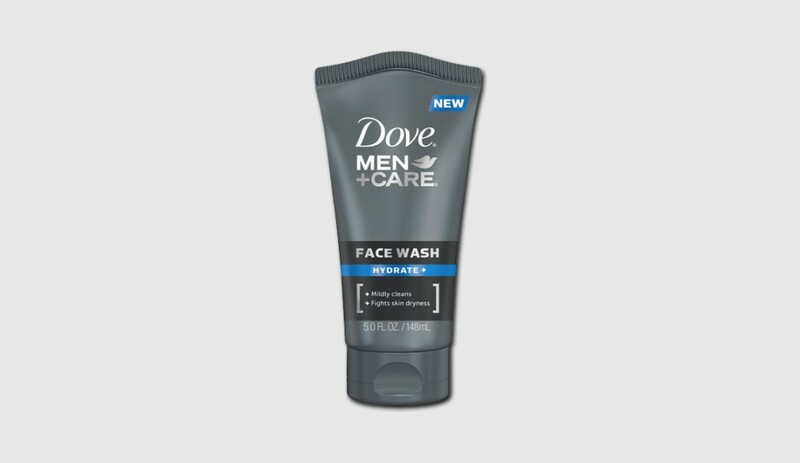 Get rid of your alcohol-based aftershave and I want you to use a Dove Men+Care Hydrate Face lotion, this is your new aftershave,” says Keaney. Using an alcohol-based aftershave loaded with fragrance, such as tea tree oil, can also cause major irritation. In some, even allergy. For summer: COOLA SPF 30 Cucumber Matte Finish, ($36). 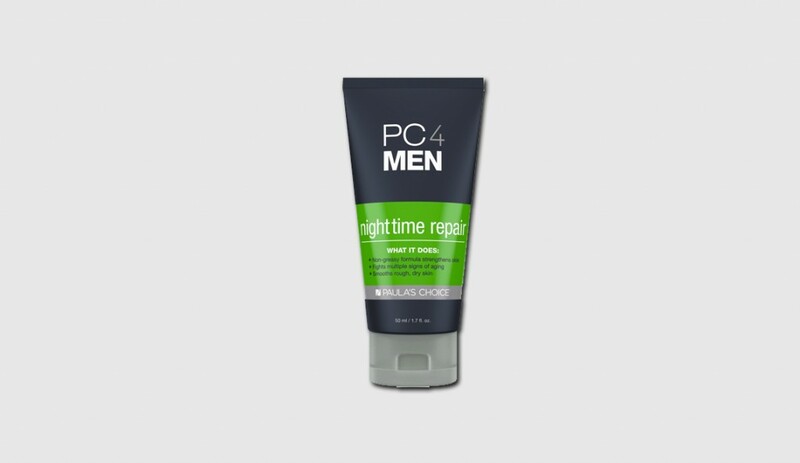 For winter: PC4Men Nightime Repair ($27). By not cleansing your beard, you do a further disservice to it looking fuller. Studies show that oil and dead skin cells trap hair against the skin, rather than letting it stand away and up from skin. 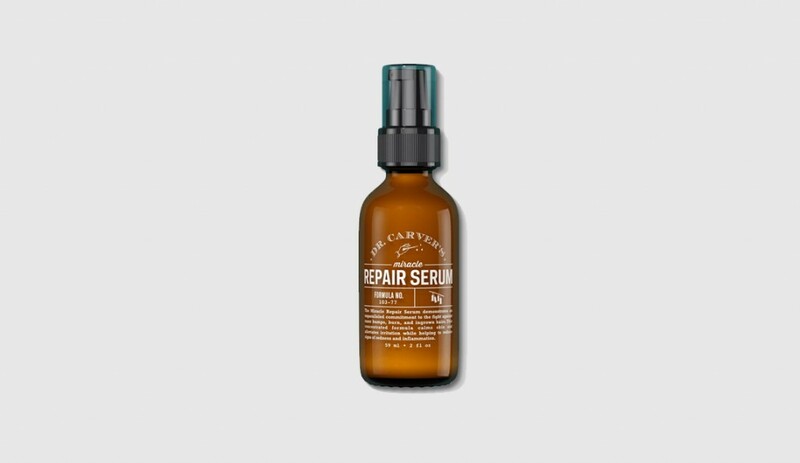 Dr. Carver’s Miracle Repair Serum ($12). Hint: this serum is a bargain for the price and can double as a lightweight moisturizer under sunscreen in summer and during daytime in winter. Opt for an antioxidant-loaded sunscreen and moisturizer, and when ready, add a retinoid to your routine under PM moisturizer to booster the anti-aging process. Peter Thomas Roth Retinol Fusion PM ($37+). Hi! I'm Brett Aaron Marlow. I'm a writer living in Los Angeles who specializes and is obsessed with beauty, music, fashion, lifestyle, and celebrity. I co-own a designer accessories brand, Pine & Plastic. Vegan food, coconut everything, Dolce & Gabbana concealer, '90s music, and retinoids make my world go round.